Political race conquers the fashion world as a candidate for the Democratic nomination for President of the United States in the 2016 presidential election rules the front row of New York Fashion Week. 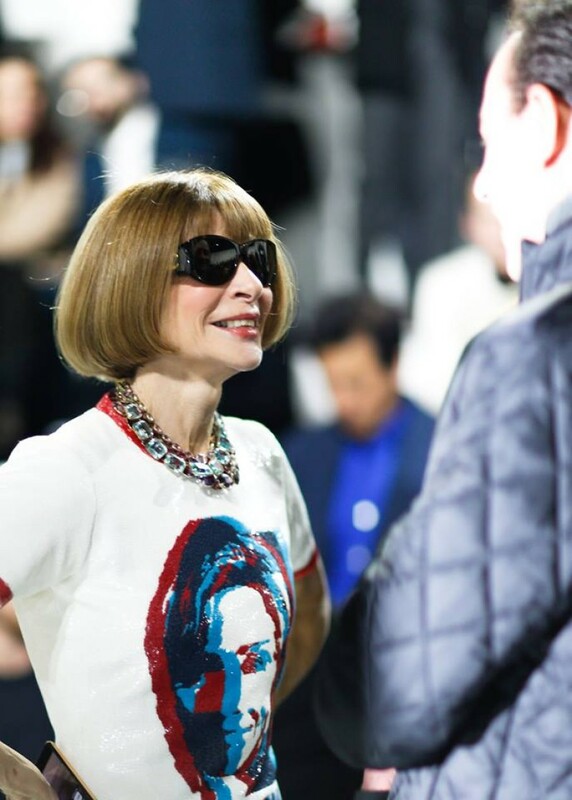 Though Hillary Clinton was not present in person, her strong supporter, Anna Wintour​ sported a Marc Jacobs designed t-shirt that featured a pop print of Clinton’s face on the front at the recent Marc Jacobs show. 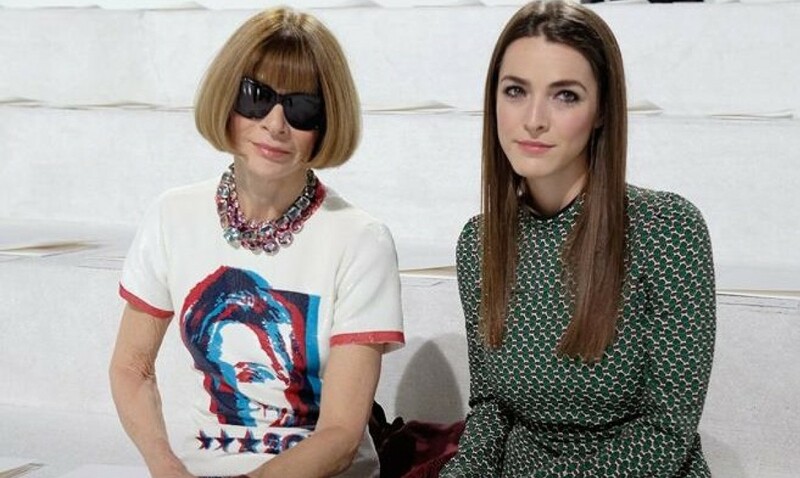 Marc Jacobs has teamed with American presidential candidate Hillary Clinton to create a tee to support her campaign to become the first female president. The American fashion designer even took a bow at his Fall 2016 fashion show clad in the all-black edition of the red-trimmed ringer tee. “My support for Hillary is grounded on our long-standing shared belief in equality. I am proud to share this t-shirt as a champion for equal rights, for the progress we have made and for the hope of continued progress with Hillary as president,” quotes Marc in support of Clinton. Up for $45, the Marc Jacobs tee is made from 100% pre-shrunk cotton and is offered in unisex sizing. The proceeds from the sale will help elect the first woman president of the United States, and Democrats from coast to coast. 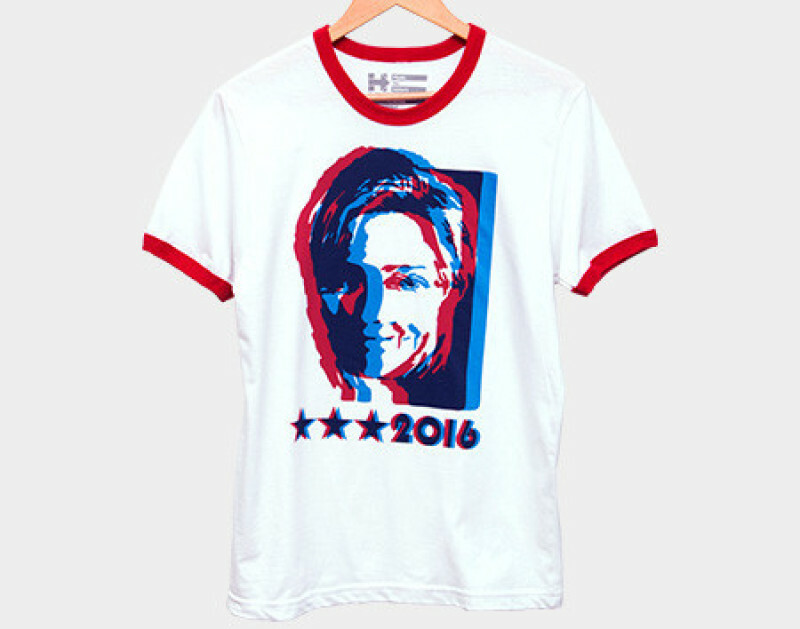 The shirt is part of the collection designed by various American fashion designers to help elect the first woman president of the United States.